A meta-analysis of over twenty years of research suggests there is no correlation between the passage of laws legalizing medical marijuana and increased adolescent use. When it comes to the debate around marijuana legalization, people on all sides of the issue tend to throw around a lot of talk about scientific surveys and research studies. But rigorous new analysis on 20-plus years of marijuana research concludes with a familiar refrain: Don't believe everything you read. Publishing in the journal Addiction, researcher Deborah Hasin of Columbia University Medical Center recently disclosed results on a comprehensive meta-analysis of marijuana studies dating back to 1991. The specific focus of the study was to track adolescent drug use in US states where medical marijuana has been legalized. Her conclusion: Despite repeated claims by opponents of legalization, studies show no evidence of increased adolescent use of marijuana following the enactment of medical marijuana laws. The analysis pooled results in eleven separate studies of data from four large-scale US surveys, said Hasin. “We carefully followed the field's guidelines for search methodology of the scientific literature to ensure that we found all relevant studies, meaning those using adequate data and statistical methods,” Hasin told Seeker. The project also involved review of more than 1,000 separate research papers. Hasin said that while the findings are significant, it's important to note that the studies only tracked adolescent marijuana use. 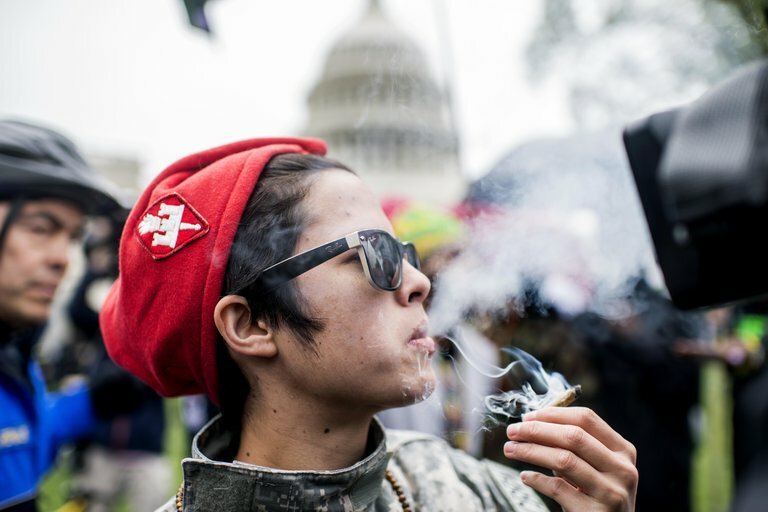 Hasin said that the meta-analysis also does not address more recent state laws legalizing the recreational, rather than medicinal, use of marijuana. Hasin and her colleagues have looked at that developing issue in smaller studies. The lead author on that study was Magdalena Cerda of the University of California, Davis. The recent research is narrowly focused on usage patterns and does not seek to endorse or oppose any particular approach to marijuana use or legalization, Hasin said. “The lack of increases in teen use after passage of medical marijuana laws does not diminish the seriousness of regular use in the early adolescent years, which is associated with later delays in neurodevelopment and impaired educational and occupational achievements,” Hasin said. In a related development, an editorial in the same issue of the Addiction journal takes on another common claim — this one often made by legalization advocates — that medical marijuana reduces opioid deaths by offering a safer way to treat pain. According to the authors of the Addiction editorial, there is no clear evidence that passage of medical marijuana laws results in a reduction of opioid deaths. In fact, several recent studies have shown that chronic pain patients who use cannabis do not use lower doses of opioids.